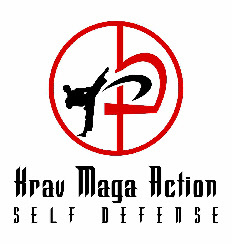 Krav Maga Action Private Training is customized according to your goals in what you want to achieve. We can focus on self defence, conditioning, losing weight/ gaining muscle, stamina, relieve stress and even fight choreography. Training can be provided at your home, office, local park, gym. We aimed this at those who wish to speed up their learning process within the Krav Maga system. Not everyone works in a ’9 to 5 job’ and be at all the classes, some people prefer a one-to-one training instead of participating to a class with other people, that’s why we offer a One-to-One Personal Training where we really focus on personal improvement in Krav Maga techniques. Price can be reduce by splitting the costs with a friend, colleague or a training partner. One-to-one: £ 70.00 per hour plus studio hire provided by yourself. Group for 4 - 8 max: £ 139.99 per hour plus studio hire provided by yourself. Please contact us on 07539 070707 or email us for availability.